A full feature on Doom-metal.com's own release of this reinterpreted tribute to My Dying Bride. This is one of the more pleasant conundrums in life: if you happen to be a review site, and also the proud parent of an album release, what's the best way to review that fairly? Obviously, as someone heavily involved in the project, I'd admit to a little uncertainty as to whether I can be totally objective about it: clearly, there's a conscious bias on my part, and maybe subconscious ones too. So, to balance that, I've also invited two of our regular reviewers to provide coverage: neither were involved in the project and both are hearing the results for the first time. So. Feel free to treat this section as pure advertorial, if you like, though it's my intention to be as fair and honest as possible. It started as a debate on our forum: my editorial predecessor took against the idea of a "tribute album" needing to be some sort of faithful mimesis of the original material. We were challenged to go on and do something differerent, then, and we took up that gauntlet. It was a simple concept, at heart - find bands who include MDB as one of their influences or inspirations, yet sound nothing like MDB...and can somehow reconcile those differences in an offering that retains their own individuality but still shows how far My Dying Bride have cast their shadow over the last three decades of Doom. Having decided on that route, we set about inviting bands to participate. Coming up with a list was tricky: we wanted to work outside the Gothic/Death/Doom sphere altogether, with veteran but still underground bands - names that should be familiar enough to Doom afficionados, but not necessarily beyond - and to get a balance of representation across the different subgenres. We were a little surprised, and extremely pleased, that our initial approaches were met with a very generous degree of enthusiasm. This is a tribute rather than a 'best of', so we left it entirely up to the participants which track they wanted to cover: pleasingly, that resulted in samples from across the whole of MDB's career. Those were then turned over to Esoteric's Greg Chandler for mastering - absolutely a no-brainer of a choice - and he did an excellent job of turning our selection of different mixes into something that really sounded complete and consistent. For our part, we tried to match the quality of the music with an exclusive, and expensive, package that carried on the concept of homage and respect, but still put an individual stamp on proceedings. That turned out to be a 6-panel double-digi, with a full 12-page booklet featuring each of the bands, an intro by Aaron, and a foreword that explains why we went down the route that we did. Well, we didn't get away entirely error-free - most notably needing a humble apology to Greg, whose name vanished somewhere between draft and final layout. And some unfortunate circumstances prevented us from fully representing the Trad-based side of things. Nonetheless, the finished package - to my ears and eyes - achieved exactly what we set out to do: bands far removed from any MDB comparison, giving their own distinct voices to some of the most influential and classic tracks in the Doom canon. From the atmospheric soaring of Omit to Camel Of Doom's psychedelic trippiness, from Forever Autumn's skeletal acoustics to the sludgy stomp of Of Spire & Throne, from the industrial fury of Haiku Funeral to Narrow House's avantgarde gothic stomp - well, lets just say it's a truly eclectic span, but one which turned out to be entrallingly complementary taken as a whole. If that concept doesn't appeal, for whatever reason, fair enough - that's something for which we, as the architects of it, will happily take the blame. But, regardless, I believe it would be difficult to find any fault with the quality and spread of the music that brings it to life - we really couldn't have asked for any more. Obviously, all fans of MDB have their own treasured favourites, or memories of discovery. Mine was being absolutely blown away by 'The Cry Of Mankind' video circulating on MTV in the mid-'90s; easily the single biggest factor that led to my editing a dedicated Doom site today. And what I find most fascinating about this album is the way these contributions reveal and share similar feelings from across the most diverse of sources. There's a passion running through them all: wholly respectful of the original material, yet unafraid of reinterpreting it with a deeply personal touch. I'll leave more in-depth coverage of the music to my colleagues, and I'm not going to skew their mark by adding one of my own. All I would say in conclusion is that, biased or not, this is exactly the album I wanted to hear, and I am beyond grateful to everyone who participated. When it comes to the band being paid tribute to here, I cannot help but start from a personal and subjective standpoint. Sometime in the autumn of 1992, a friend of mine at University lent me some of his records. Thumbing through each others vinyl, we'd borrow stuff off each other we either hadn't heard, wanted to copy, or the odd one here and there that simply looked good. I remember grabbing something by Paradise Lost, 'Streetcleaner' by Godflesh, which he used to play at ear bleeding levels on his turntable while we rolled and smoked our own peculiar brand of 'herbal' cigarrettes, and something else. It didn't look like a metal record. It had a strange cover. The band had a strange name. The title was odd. Something about dying flowers, or brides. When I asked him about it he simply shrugged and said it was very good. I'd like it, he said. So I took it. From Omit's distinct and reinvigorating take on 'Feel the Misery', the opening track on disc one, it is abundantly clear that this is no meagre or shoddy offering. There are moments throughout the two CD's where one is reminded that this is an underground tribute to an overground band, and therefore some of the tracks will differ greatly in presentation and sheen to their originals. But, that's the point, and one of the reasons for this tribute. My Dying Bride's sonic reach is a large one, and is nowhere more in evidence on here than in the audible musical differential between Memoirs' touching and frankly beautiful rendition of 'Like A Perpetual Funeral' and Haiku Funeral's brilliant and disturbing take on 'The Wreckage of My Flesh'. Side by side, both tracks pull in seemingly disperate directions and yet are united in their articulation of grief and sadness. Elsewhere, if you've ever wondered what a band like Of Spire & Throne might have in common with My Dying Bride then listen to their adaptation of 'My Wine in Silence'. Makes perfect sense to me. The passions contained within darkness and light, combined with an eclectic and almost eccentric sense of progressiveness, have to my ears, always been the backbone of My Dying Bride's music and as disc one rolls to it's conclusion, Mushroom Fuzz take this trinity of elements towards a fascinatingly illogical conclusion. Talking of progressiveness and eccentricity, disc two kicks off with Camel Of Doom, whose grand rendering of 'The Cry of Mankind' is in equal parts faithful to the original and yet has their own trippy mark stamped proudly all over it. Which is how you could see this tribute overall - each track bearing the recognisable tones of the original recording and containing something else within each new rendition that says more than a little about the artist covering it. Some more than others, though, it has to be said. Which brings me to Forever Autumn, who with their track,'The Crown of Sympathy', finally clarify to me where they hide the Doom in their music. It's in the vocals, where occasionally the sombre croak of Aaron Stainthorpe's quieter moments peeks through their folky backdrop like a sympathetic, spectral guardian. Narrow House add a taste of the theatrical to their forging of 'The Bitterness and the Bereavement', coming across in places like something from the twisted soundtrack to an even more twisted film. If you own the whole of My Dying Bride's back catalogue as well as that of Neurosis, then Dying Sun provide both an indication of what a collaboration might sound like between the two bands as well as conveying the similarities in the emotions that drive the music, and where the artistic hearts of the different genres become entwined. When the idea for this project was first mooted amongst the staff here, and before any of the bands were approached (watching, as I was, from a distance) I said, as well as it being a great idea for a project, that I would love to hear Abysmal Growls of Despair covering 'Sear Me'. I thought it would be a perfect match and I still think it is. The most underground of bands covering the grubby tones of My Dying Bride's signature piece, which may not present with the polish of some of the other tracks but, like I said, there's something sinister and dirty about that debut album and Hangsvart has more or less captured it, certainly in ethos at any rate...(and then there's those ominous drums again). ESTRANGEMENT continue to lend credence to the progressive eccentricity argument and Mekigah...well, they're Mekigah, aren't they? Only the harsher vocals on Vita Dolorosa's bonus track miss the mark ever so slightly for my money. The song itself, a lilting interpretation of 'She is the Dark', is, however, a far 'nicer' way to end precedings than the demonic pounding of Mekigah. 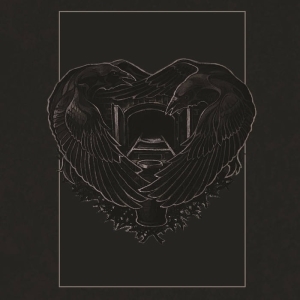 That said, along with Memoirs' aforementioned take on 'Like A Perpetual Funeral', Until Death Overtakes Me's version of 'Sear Me MCMXCIII', and the ever rabid Haiku Funeral, Vita Dolorosa smoothly nudge their way in as an album highlight. But all of that is just one perspective, listen for yourself in order to judge for sure. The project itself did not begin and end simply with the bands doing their thing and then having a Bandcamp page hurriedly thrown together. This is a release proper, but not perhaps, an obvious one. A slew of Gothic/Death/Doom bands paying homage would have been conspicuous in its ease and predictability. You may as well be listening to the originals. Because of its auditory challenges, which comes from the diverse nature of the featured bands, what we have with this tribute is a far greater pay off. Indeed, the greater the contrasts are on paper it would seem, the larger the reward on tape. 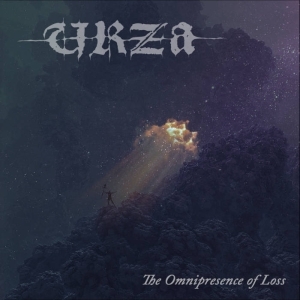 But mainly it serves to show just how far the influence of My Dying Bride goes, how deep their impassioned heart gets its way into the subconcious and the souls of those who hear it, and how it is then reanimated back into the living realm by those affected by it. A sort of ethereal backbone for their own unique vision. The CDs come wrapped in a thoughtfully created digi-pak, with liner notes by Aaron Stainthorpe and a booklet with a few words from each of the bands involved. Greg Chandler oversaw the final sound at his Priory Studio, which has to be the chthonic icing to this most doomy and underground of cakes. When I think of My Dying Bride, specifically in the setting of a tribute, I can't help but go back to the first time I heard them, when they shifted the goalposts in my musical landscape, and then to the many times they repeated some of that initial wonder down the years ('The Dreadful Hours' being a good example). As well as the music, my mind is drawn to the memories associated with them, the ghosts of which are all teased emotionally back to life by the musical tributes in this collection. As well as being grateful to My Dying Bride for their own music, I'd like to pay special mention to all the bands who have contributed to this collective work, some of whom I reckon may have shone a new and restorative light on certain older, fallower forms. I'm going to borrow from the band themselves now, if I may, specifically from Aaron Stainthorpe's prose, being, as he is, the literary heart of the band. Each song here can be felt to contain the passions of the originals, and also a reverence to their esteemed, and, let's be honest, cherished creators. You might say each cover version is its own "cathedral of awe" bearing the "fantastic weight of oceans". The wait is over. 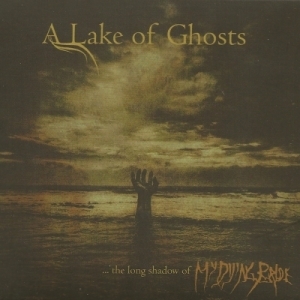 After a series of intriguing hints and teases from Doom-metal.com, the lights have dimmed and the curtain has finally been drawn back to reveal the dark carnival of twisted wonders that is 'A Lake Of Ghosts…The long shadow of My Dying Bride'. Featuring a mouth-watering seventeen different acts, each paying homage to Yorkshire's iconic purveyors of melancholy and sorrow, it provides a feast of interpretations that pay tribute, but never imitate. That such a wide and varied range of acts from around the world have come together to take these songs on new, and often strange and surprising journeys, is testament to the vast influence of My Dying Bride, whose tentacles have spread throughout the global Doom community, inspiring and influencing countless musicians and fans alike. It's worth noting early on that if you buy this album hoping to hear faithful renditions of the original tracks, you will, initially, be disappointed. Only initially, though; once the realisation sets in that each song is a rebirth, a metamorphosis into a new and beguiling creature of Doom, it's impossible not to be captivated by these new interpretations. After all, how many of the great cover songs from throughout music history were faithful to the original? That's right: none of them. The ones we come back to are those that broke the original down and moulded the fragments into something completely new. And each and every one of the seventeen bands on this tribute does exactly that. Haunting opening track, 'Feel the Misery' by Omit, is an immediate blow to the solar plexus with its achingly beautiful female vocal from singer Cecilie Langlie, thumping Doom riff and melodic orchestral arrangement, it takes the song in a fascinating new direction. 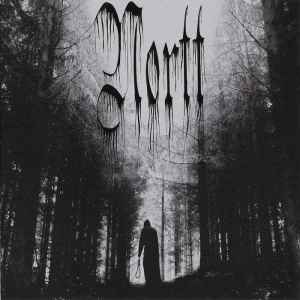 Such is the diversity of this compilation, and the eclectic range of styles featured throughout, it's something that any fan of dark music could enjoy without ever having heard the original material, such is the extent to which each artist has made their chosen song their own. Memoirs' performance of 'Like a Perpetual Funeral', for instance, eschews the downtuned sludgy riff of the original in favour of a Gothic Folky feel with ethereal female vocals and two male vocalists, bringing another interesting ingredient to the melancholy melting pot of 'A Lake Of Ghosts…'. And Memoirs are certainly not alone in completely turning things on their head; Of Spire & Throne take the elegant sorrow of the Nick Cave-esque 'My Wine In Silence' and unleash a ferocious down-tuned, discordant primal roar of rage and agony. Elsewhere, Space Mushroom Fuzz add elements of Space Rock on their far out reimagining of 'Two Winters Only' which develops into a full-blown psychedelic freak-out that is so radically, and successfully, different from the original, that it's actually hard to comprehend the source material for it is My Dying Bride. Surely there can be no finer compliment for a cover version than that, and for that reason, it is certainly one of my standout tracks on the album. In truth, there are many highlights as the rich and varied tapestry of My Dying Bride's career is plundered and their sorrowful anthems reformed into something altogether different. Melancholy, emotional tracks are given a dose of brutality; elegant Doom becomes crusty, discordant Industrial fury, and, conversely, the short, snarling Death Metal of 'De Sade Soliloquy' is lengthened by ESTRANGEMENT and given new life with wind and string instruments, adding colour to the monochrome brutality of the original, while losing none of the ferocity of the beast that spawned it. The final track, a reimagining of 'She is the Dark' by Vita Dolorosa, rounds things off with a collaboration between several artists that feature elsewhere on the album, who came together especially for this collection; thus, yet another band is formed due to the immeasurable influence and legacy that My Dying Bride have created within the Doom genre. Many came before them, and many will follow, but Vita Dolorosa deliver an epic finale featuring cello, piano, orchestral arrangements and both clean and growled vocals in an eclectic tour de force. It's a fitting end to a dark, fascinating journey full of unexpected twists and turns that should please fans of My Dying Bride and earn new admirers for those that contributed to its completion.